Able Mechanical, Inc is the premiere commercial heating, ventilation and cooling contractor in the NY & NJ area. Our technicians are trained and experienced in all commercial HVAC systems. 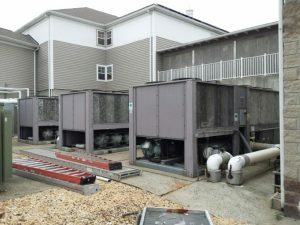 Able Mechanical, Inc offers service, replacement and new installation of all commercial HVAC equipment, including but not limited to chillers, gas and oil fired boilers, cooling towers, water source systems, rooftop units, split systems, package units, pumps, and VAV boxes. Our engineering staff can evaluate your equipment and operational sequences to ensure your systems are operating at peak efficiency. Many systems over time drift away from the original sequence of operation, or have been properly commissioning to ensure that the system operates well, not just the individual pieces of equipment. One of the things that set Able Mechanical, Inc apart from the other commercial HVAC contractors in the NY & NJ area is that our highly qualified professionals offer better customer service and prompt resolution to your heating and cooling needs. Our team responds quickly to your service call and makes the proper diagnosis and repairs as needed to get your businesses back up and running. We also offer service contracts to help keep all of that equipment operating, and avoid or delay the high cost of equipment replacement. We can help your business become more energy efficient and spend less on utility bills. Whether you have a large industrial space, a medium-sized office building or a busy storefront, the more energy efficient your business is, the more money you can save. If you are a restaurant or store in need of refrigeration services, Able Mechanical, Inc also offers commercial refrigeration and restaurant equipment repair services. 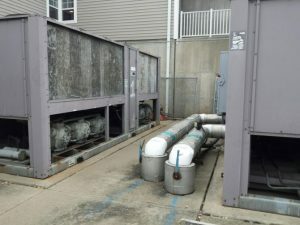 Able Mechanical, Inc can also make your business more productive by keeping your commercial space cool in the summertime and warm in the wintertime. When your employees are comfortable, they are more pleasant, focused and efficient. The more comfortable your clients are when they are in your office, the happier they will be as well.